The Chinese government, blindsided by the Trump administration’s trade offensive, has been working overtime to keep its relationship with the Pentagon afloat as others have been sinking, according to U.S. defense officials. Facing strained relationships with other agencies in Washington over the ongoing trade war, the Chinese have been scrambling to maintain open lines of communication with the Pentagon. Chinese officials have stepped up their contacts with U.S. defense officials in recent weeks, and have been eager to send Chinese Defense Minister Wei Fenghe to meet with Defense Secretary Jim Mattis in Washington before the end of the year, a senior defense official said. The Chinese outreach is happening behind the backdrop of incidents that suggest growing military tensions between the two countries. American and Chinese warships recently had a close encounter in the South China Sea. And China’s cancelation of a security meeting with Mattis in Beijing prompted the Pentagon to scrap the trip entirely. But U.S. defense officials say these events still fall within the realm of what the defense relationship has weathered in the past. They say what the Chinese are not used to, however, is President Trump’s pressure campaign against China on a number of fronts, on trade to intellectual property theft. “China is sputtering. They’ve never been treated this way. Every administration in the past has always treated them with kid gloves,” the senior U.S. official told Breitbart News. Experts say the Chinese government is in “disarray” in its response to Trump raising tariffs on $250 billion in Chinese imports — about half of what the U.S. buys from China. The Chinese responded immediately with tariffs on $60 billion in U.S. imports. Chinese President Xi Jinping “has not reacted tactically or strategically,” said Willy Wo-Lap Lam, senior fellow at The Jamestown Foundation. Xi’s response has raised doubts among some factions in the Chinese Communist Party that he “does not have what it takes to parry,” he said. “It’s the most serious crisis faced by Xi Jinping in last six years,” Lam said at a conference hosted by Jamestown last week. Experts also say U.S. tariffs are having a bigger impact on China than retaliatory Chinese tariffs are having on the U.S.
Dennis Wilder, managing director for the Initiative for U.S.-China Dialogue on Global Issues at Georgetown University, said Chinese consumer confidence is down, car sales are down, the International Monetary Fund has predicted China’s gross domestic product could lower to 6.2 percent, and the Chinese Renminbi could fall 10 percent against the dollar if Trump raises tariffs on Chinese imports to 25 percent. “This came up very fast on Beijing,” Wilder said. At the same time, the Trump administration has also stepped up support for Taiwan, which China considers a rogue Chinese province and not a separate country. The U.S. Navy has also stepped up naval activities in the South China Sea, which the Chinese government considers its territory. The Trump administration has also notably stepped up its public criticism of China. Vice President Michael Pence recently delivered a fiery speech critical of Beijing, and with very little pushback from the foreign policy community. And despite U.S.-Chinese disputes in the past, U.S. business interests were so dependent on a robust U.S.-China relationship that billions of U.S. dollars would continue to flow to China. But now, they say, things have changed. “Now you’ve got a guy who says, ‘We’re getting screwed and I’m the guy to stop it,'” the senior U.S. official said. 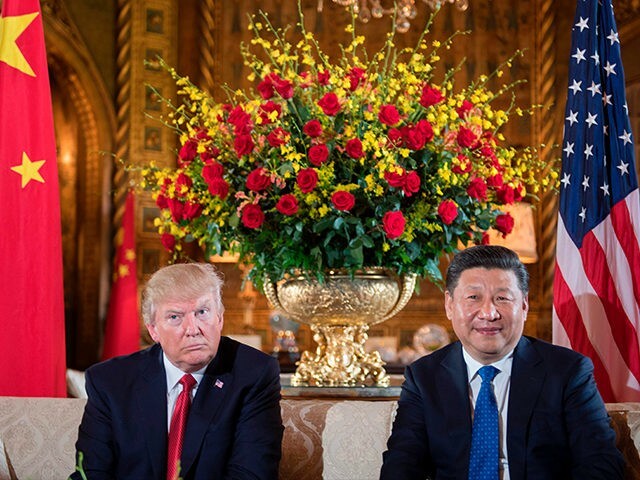 Both sides are hoping a planned meeting between Trump and Xi at the end of November at the Group of 20 meeting in Buenos Aires, Argentina, will produce a break in the trade impasse. Wilder said the U.S. walks in with an edge. Pentagon officials do not expect that China’s outreach will give them leverage. They say even if China removed weapons systems from disputed territories in South China Sea, it would not affect the way Trump feels about China’s economic practices. And they say China still has leverage on U.S. denuclearization talks with North Korea, as the regime’s main benefactor. But they say it is unclear how close North Korean leader Kim Jong Un is with Beijing, and say that Kim may be less susceptible to Beijing than before Trump’s and South Korea’s diplomatic efforts. They say China’s outreach to the Pentagon is more about finding a way to stay in touch with U.S. policymakers, since there is already an impetus to communicate about military operations and interactions at sea. Experts say that historically, when a country’s relations are strained with the U.S., the military relationship is often the first thing to be affected. That happened between the U.S. and Russia in 2014, after Moscow invaded Ukraine and annexed Crimea. Now, the it is the reverse, where Chinese are latching onto the defense relationship to keep ties afloat. “This is all they’ve got,” the senior official said.